KATHMANDU: The tradition of writing and reciting poetry has been continuing since a long time. The evening of October 12 in Ting Tea Lounge Hotel was more attractive as the lounge was filled with the verses of poetry along with an exhibition of paintings. It was a creative exchange between poetry and image conducted by Yuyutsu RD Sharma and Anne Lelong, a French artist. Garuda and Other Poems of Astral Plains (2012), the second collection by the distinguished American Poet David Austell, was launched at the event. Sharma presented a workshop in poetry that described the techniques of writing poetry, difficulties while composing poems and talked about how to develop poetry into a commitment. Sharma said. “As literary culture and tradition makes us different from the rest of the world, we should be committed towards the development of poetry. Poetry should be the medium of communication and poems should be able to present the cultural scenario,” he added. Sharma read some of his poems Little Paradise Lost, Space Cake Amsterdam, The letter, At 40 You Die from his poetic collections Milarepa’s Bones, Helambu, Nepal Trilogy and Annapurna Poems during the recitation session. He talked about the development of Nepali language and contributions of several translators in establishing poetry as an art form. Emerging poets Anuj Ghimire, Bishwa Sigdel, Dipti Sherchan, Aashish Gurung were among others to recite their poems. The reading and workshop was accompanied by opening of French photographer and painter Anne Lelong’s poetic photo exhibition ‘Sacred Dance’. It is about the expression of movements. She has captured the elements of movement and transformed them into photo poetry by playing with light, exposure, the human gesture and the ambience that surrounds classical Indian temple dancers. “The art is not about classical dance form rather it is about contemporary art,” Lelong said. Lelong’s exhibition is on till November 4. 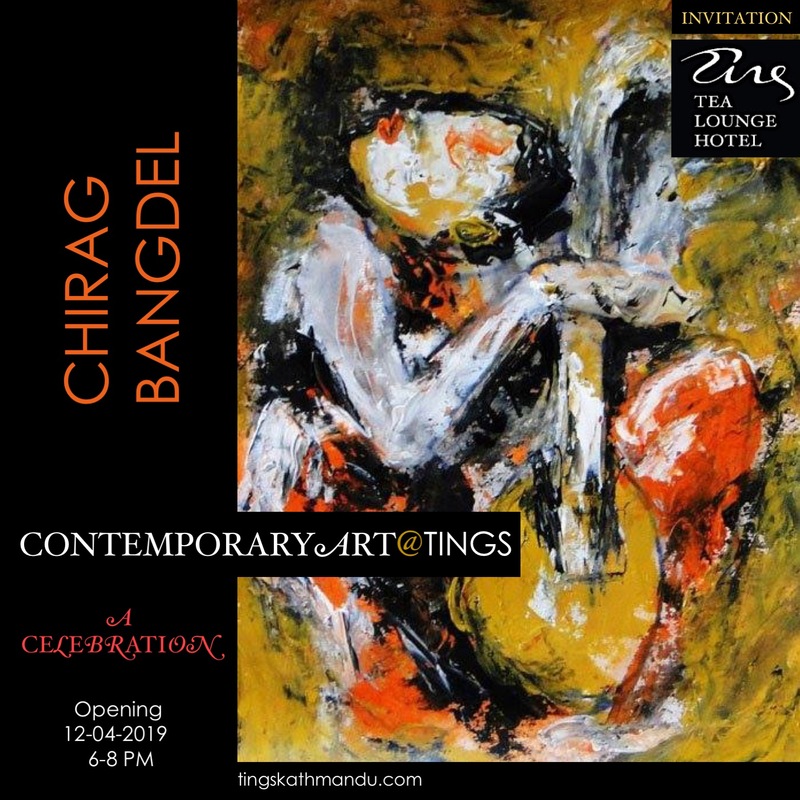 Posted in Art@Tings, PressTagged Aashish Gurung, Anne Lelong, Annette Tingstrup, Anuj Ghimire, Art@Tings, Bishwa Sigdel, David Austell, Dipti Sherchan, Kathmandu, Lazimpat, Nepal, Poetry@Tings, Thomas Tingstrup, Tings Lounge Hotel, Tings Tea Lounge, Yuyutrsu RD SharmaBookmark the permalink.